May Winfield and Sarah Rock, authors of a new report into BIM and legal contracts, analyse the second edition of the BIM Protocol and what it means for construction. 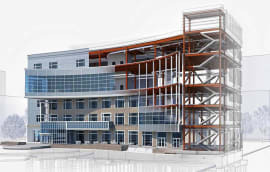 The second edition of the UK’s only standard form BIM Protocol was published on 10 April 2018 following significant consultation with the construction industry, legal practitioners and standard contract publishing bodies and is stated to have “been updated to reflect current practices and standards regarding the use of BIM”. We noted with interest that the second edition addresses and resolves a number of issues and concerns raised in the Winfield Rock Report. Its more flexible and arguably user-friendly approach will undoubtedly support the continued uptake of BIM while assisting in providing further contractual clarity, an issue discussed in further detail in the Winfield Rock Report. 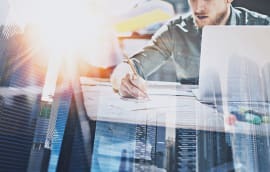 One criticism that was aimed at the first edition of the CIC BIM Protocol, and raised by some interviewees of the Winfield Rock Report, was the inclusion of the Priority of Documents clause. The authors have taken this feedback on board and amended the clause with the intention that priority only encompasses clauses relating to BIM. This compromise reflects current amendments often made to the first edition in practice, although users would still need to ensure that all clauses are checked, cross referred and consistent in all the contract documents. For example, clause 4.2 of the Protocol and clause 3.4.3 of the JCT 2016 D&B standard form contract both contain requirements for flowing obligations down the supply chain, but are worded slightly differently – which wording do the parties intend to take priority? The second edition has removed the Model Production and Delivery Table in favour of a Responsibility Matrix. The terminology will sit easier with those users who are not BIM experts and the inclusion of both information and models in the matrix will likely be welcomed by the BIM savvy. However, where there is also a (different) Responsibility Matrix in the other contract documents, parties may need to slightly amend the title – such as to the BIM Responsibility Matrix – to avoid confusion and contradiction. 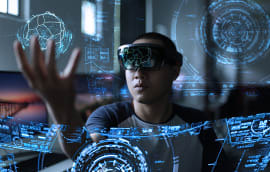 Compliance with the timeframe of the Responsibility Matrix has been made subject to any extension of time applicable under the over-arching agreement, as opposed to being subject to the reasonable endeavours of the project team member or events outside their control as under the first edition. Such alignment with the time provisions of the main contract seems to be a very pragmatic step. Many contributors to the Winfield Rock Report commented on the clause in the first edition of the Protocol which allowed the IPR (intellectual property rights) licence to be suspended for non-payment, albeit only where the over-arching agreement provided for such. This clause seemed to have been much misunderstood in the industry, which read such suspension to apply regardless of whether the over-arching agreement provided for such a right. This clause has been removed from the second edition. The IPR provisions appear to have also been reduced in prominence slightly in that the operative clauses now only apply where there are no applicable provisions in the over-arching contract relating to copyright that would apply to the materials (as defined in the Protocol). Whilst relaxing the previous overriding IPR provisions, it will be interesting to see how this plays out in the market and what amendments, if any, parties may make to this clause. There is a new and welcome introduction of a security-minded section of clauses based on PAS 1192-5. The second edition also allows for an appendix dedicated to this area with flexibility for the user to elect not to use it if not required by the level of security on the project. 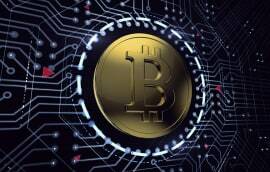 Some clauses from the first edition which were the cause of concerned comments from the industry have been removed, notably the statements that models take precedence and that the project team member does not warranty the integrity of electronic data. No doubt taking into account recent case law and feedback from industry experience, the second edition also introduces new clauses and terminology, such as the CDE process and requirements of coordination meetings. Issues around discrepancies between information now defer to the over-arching agreement and where not provided for have a resolution process included. One of the main changes that seems will add real benefit and additional clarity is the closer reference and tie back to PAS 1192. 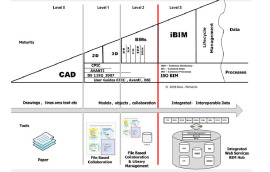 Seen by many as the backbone of BIM Level 2, this document provides the workflows and processes upon which BIM projects are based. The inclusion of further references to PAS 1192 gives the Protocol a feel of a document that sits more closely with the other BIM documentation, closely supporting a BIM project rather than governing it from afar. Aligning the Protocol with this document appears at first glance to be a simple change but one which may have a huge impact. Terminology has been changed to be consistent with PAS1192, and the Protocol now reflects the reality that the PAS1192 standard applies to information as much as it applies to models. This arguably provides a more inclusive document which hopefully will assist in the ongoing uptake of BIM. 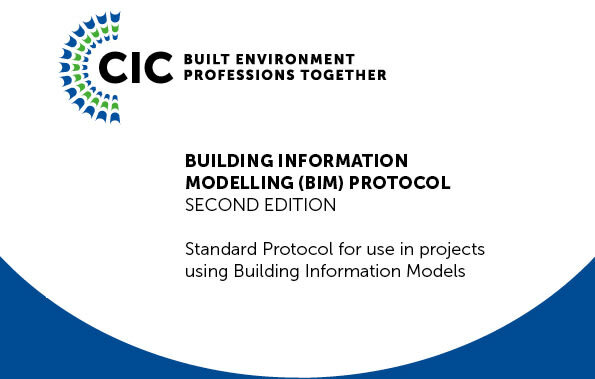 This edition is of course an update of the first edition of the CIC BIM Protocol which was published in 2013 and labelled by one of the contributors to the Winfield Rock Report as a “good starter for 10”. The second edition seeks to incorporate lessons learnt from the BIM journey so far, with a more pragmatic and flexible approach for improved alignment to other documents in common use on BIM projects. Going forward, it will be interesting to see how the industry and the legal community, apply – and amend – the second edition and interpret the various amended clauses in practice. No doubt however this new edition will assist in progressing clarity and process on our BIM journey. Why does the report say there is no standard definition of BIM Level 2! Go to the BIM Level 2 website and there is a paragraph definition produced by the government and BSi, based on the original BTG one. They also have a useful leaflet that goes into more detail. Whether everyone can understand it is irrelevant, its there non the less. I think this report hasn't done its homework as our legal team use this definition in our contracts. We then state afterwards that we still need an EIR as part of the process of BIM Level 2.
Who needs the BIM Protocol?? It's the biggest waste of time ever. I showed it to our legal team once and they just laughed at it and used it as dart board on the wall. Ditch it now and bring in something useful! !